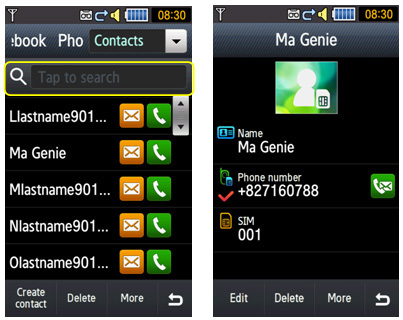 Press the ‘phonebook’ icon on bottom of screen. Press the ‘Create Contact’ icon on bottom of screen. 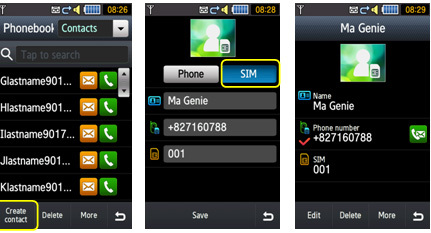 Choose “SIM” button and then insert contact details. 1. Press the ‘phonebook’ icon on bottom of screen. 2. Press ‘Tab to search’ icon on middle of screen. 3. Enter the first few characters of the contact entry. 4. 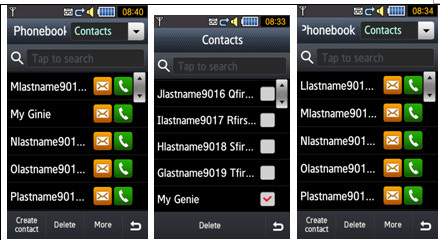 Select the contact from the list as results are displayed. 2. Select the name that you want to edit. 4. 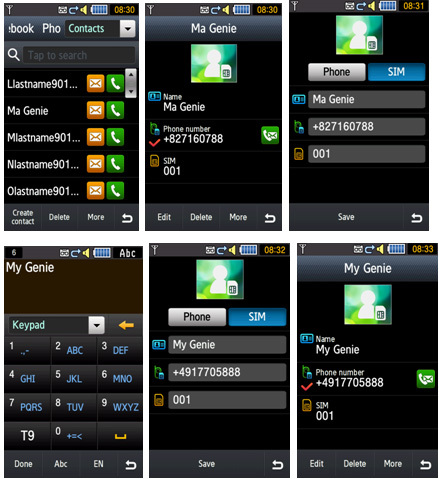 Select phone numbers file and change the details. 2. Select “Delete” from the bottom of the screen.